The series are ideal balances and scales for Educational, Industrial, Laboratories, Research, Postal, Special Applications and more. Whether weighing multiple samples with totaled results, formulating a color, counting, percent weighing, specific gravity or under pan weighing, Sartorius has the answer in M-Prove. All models feature a flip-down protective cover for safe transportation and stackability, integrated cal-weights, stainless-steel pan and large back-lit display. 6.8" X 9.8" X 3.15"
Sartorius, a leader in laboratory mechanics for over a century, has recently introduced a new line of economical portable balances called the M-Prove series. The M-Prove balances were developed to be accurate for use in laboratory applications yet rugged enough to take on the road. The intuitive design of the M-Prove series is simple enough that first-time scale users can easily and immediately start working with the balance efficiently and without the fear of errors. 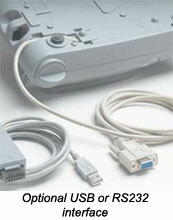 This also makes the M-Prove series ideal for use in the classroom or school labs. 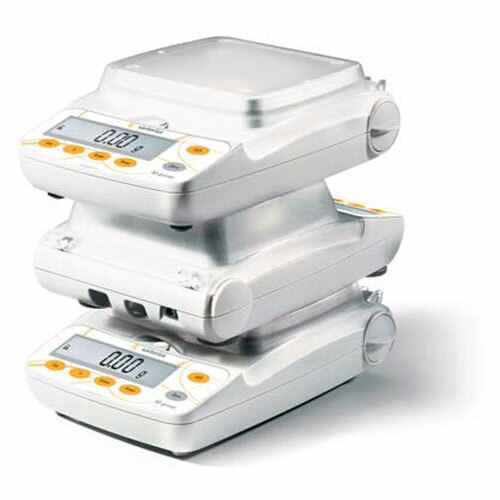 The Sartorius M-Prove series balances offer flexibility in both weighing and portability that is beyond what normal analytical scales can usually offer. Ranging in capacities from 120g to 10kg and readability from 0.001g to 1g (depending on model), the range of the M -Prove series ensures that you will be able to find the right scale to suit your application and budget. The M-Prove series features 14 weighing modes, including grams, pounds, ounces, grains, pennyweight, newtons, multi-regional taels, carats, troy ounces, and even a user defined mode. In addition to the 14 weighing modes, these balances also include a parts counting function with a reference size of one to one hundred, which makes it perfect for inventorying small items. In addition to the quality that comes with the name Sartorius, the M-Prove series offers new levels of convenience through their design. These balances weigh less than 3 pounds and are able to be stacked to save space thanks to their protective flip-down cover. 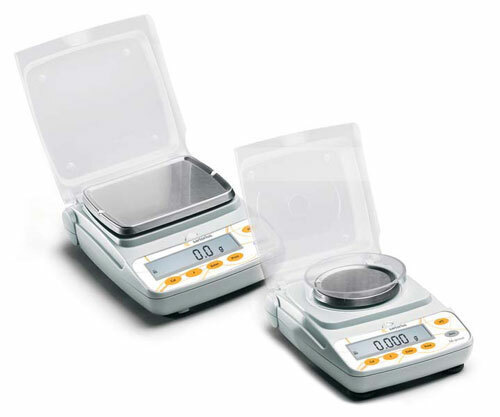 All M-Prove series balances with a capacity of 710 grams or less come complete with an internally stored calibration weight(s). If you have to work in the field you will not have to worry about finding an outlet as most of these balances can run off of a 9v battery (AY-123 and AY-303 are AC powered only). With built-in overload protection and an optional hard-shell carrying case (part number YDB06) you can travel almost anywhere with your scale. 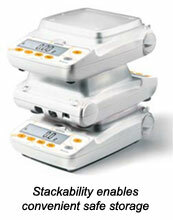 In addition to our 30-day guarantee all M-Prove series balances are covered by a one year manufacturer's warranty. 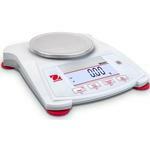 are ideal balances and scales for Educational, Industrial, Laboratories, Research, Postal, Special Applications and more. 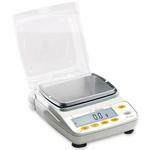 Whether weighing multiple samples with totaled results, formulating a color, counting, percent weighing, specific gravity or under pan weighing, Sartorius has the answer in AY Scales. 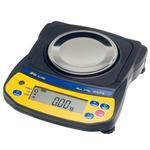 All AY models feature a flip-down protective cover for safe transportation and stackability, integrated cal-weights, stainless-steel pan and large back-lit display.